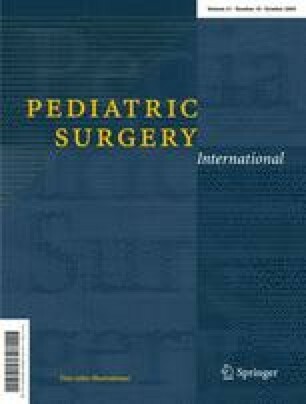 Thoracoscopic repair of congenital diaphragmatic hernia by inflation-assisted bowel reduction, in a resuscitated neonate: a better access? Elective endoscopic diaphragmatic hernia repairs have been reported. But endoscopic surgery was regarded unsuitable for emergency repair of diaphragmatic hernia in ventilated newborn children in bad general condition. We report a new method for inflation-assisted reduction and thoracoscopic repair of congenital diaphragmatic hernia diaphragmatic in a vitally endangered neonate. From three 2.7 mm to 5 mm accesses warmed low-pressure, low-volume CO2 was inflated into the thorax at 100 ml/min and 2 mm mercury. This allowed spontaneous reduction of the thoracic viscera into the abdomen and diaphragmatic suture with minimal handling. The 65-min procedure was tolerated well without perioperative deterioration. The baby was weaned off the respirator and breast-fed within 2 days, mediastinal shift normalized in 6 days. In suitable infants thoracoscopic repair and inflation-assisted reduction of thoracic contents is a more physiological access to congenital diaphragmatic hernia than laparoscopy or laparotomy.